Oh there are numerous ways to get a website popular. You’ll hear gurus on those marketing sites say that their system does this, or their system does that. You’ll see numerous ebooks trying to cover the topic and charge people an arm and a leg who hope that they’ll find some secret magic bullet to get their websites hopping and popping. There’s just no end to this stuff and at the end of the day none of them knows what they’re talking about because they’re trying to rise up the ranks of the search engines with deception. Google knows this and that’s why you’ll hear them bemoaning webmasters about the quality of their content. Webmasters and marketers don’t even want to hear about quality content because it means two things they don’t want to do, pay for it and work for it. 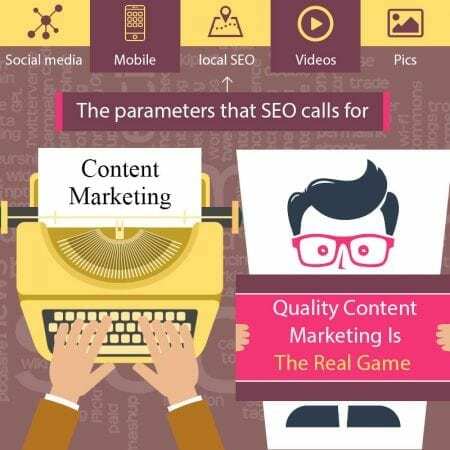 Instead marketers will sit around on their hands while the competition gains the high ground against them by investing the time and money and effort to produce and present and manage quality content. Bad content hurts everyone and tere are billion of rotten websites sitting at the bottom of the search engine pages so deep only Indiana Jones could find them. Why does this happen? Laziness and greed, plain and simple. Everybody and their brother can put together a website and they’ll load them will all the bells and whistles that they think are going to get the surfers to engage. Instead all they end up with are rotten rankings and low or no sales. It’s time to face the music and realize that if you’re going to play the online marketing game you had better be able to bring your A Game. Quality content starts with commitment and leadership on your part. It’s your responsibility and no one else’s to acquire or create and manage content as well as you want to market it. Since copy is the be all and end all of content, you cannot afford to come up short here. This is where webmasters screw up royally. They want the best content but don’t want to pay for it. They go for the cheap and think that will past muster with Google but Google knows whats quality and not. If they burn you on bad content there’s nothing short of a miracle to get you out of trouble. Hire a copywriter that knows online marketing and SEO. You’ll be paying a premium but you’ll be getting results that are alike gold in the bank. The writer should know how to use social media as well and if they don’t your content manager can step in and guide them. This is where real strategy comes into play. You’re going to have to tailor your content to meet your audience, pull them in and convert them into sales and better yet, retention. This means meeting all the intricate parameters that SEO calls for. Social media, mobile, local SEO and more. Your site has to have videos and pics and graphics, one or more blogs and a real effort to celebrate your goods and services, location, and happy customers. If this all seems a bit overwhelming you’ll be happy to know that there are companies that specialize in this and the one that stands out is I SEO U. They’re experts in everything content related so don’t worry one bit. You’ll be investing in your business’ future and that means your future. Let I SEO U do the heavy work and get an education and equity in your business like never before.